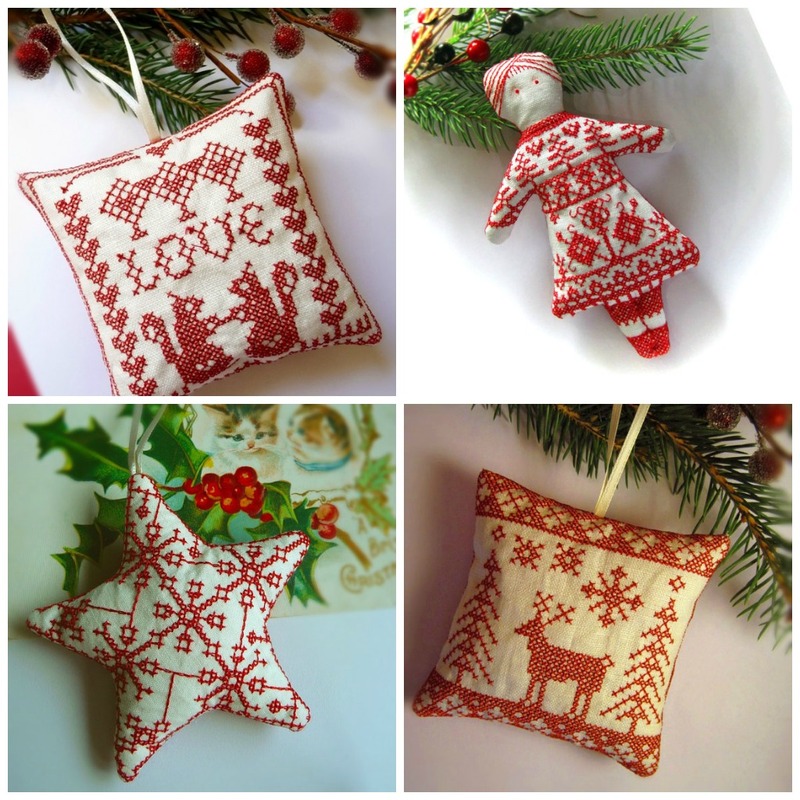 I love the precious Scandinavian styled ornaments made by Ohio needlework artist Cherie Wheeler. Crafted of red embroidery thread cross stitched onto linen, they would be a perfect addition to an old fashioned ornament collection. Aren't they charming? Oh my, I adore these! I may have to purchase some ... thank you for sharing them. Very charming. I love their homespun and folk art qualities. LOVE these!! Headed over now. DARLING! I ordered Etsy linen dish towels from Lithuania...hope they get here in time. 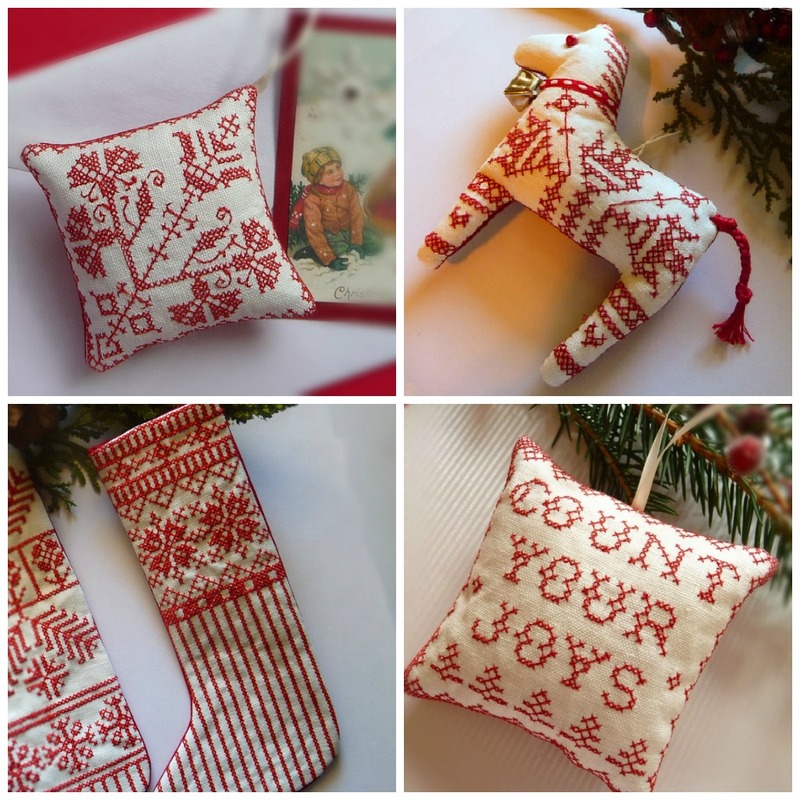 How adorable is your blog with the red and green Christmas theme????!! Thanks for your comment about losing our pet. I love these decorations Cindy. I intended to have a scandanavian style Christmas tree this year but didnt get myself into gear in time.